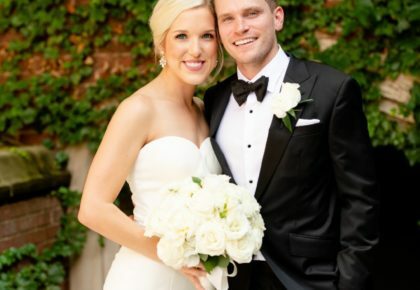 Q: When should brides-to-be consider lash extensions? Q:How long do extensions last? A: Extensions last the life of your natural lash. People lose 1-5 natural lashes a day whether they have extensions or not. With that being said, clients lose their extensions as their natural lashes shed, so clients with faster-growing lashes will lose their extensions faster than those with a slower growth cycle. We tailor the clients fills to when and what works best for them. Q: What type of extensions do you use and are they safe for sensitive eyes? A: We use only Xtreme Lashes® products from start to finish. We use a sensitive adhesive so clients with sensitivities won’t be bothered. We have each client fill out a client information form that asks about any sensitivities or allergies one may have that could be agitated by receiving extensions. If we feel like a client may not be a good candidate for extensions, we don’t hesitate letting the client know that. We also use silicone eye pads to ensure that clients with latex allergies won’t have any issues as well. Q: How do you maintain and care for your lashes? A: After your full set, you receive an aftercare guide that goes over all of the aftercare procedures that the stylist has gone over with you at your appointment. We suggest the Xtreme Lashes® brand cleaners simply because they have been formulated to use in conjunction with your extensions and are oil free. We do advise to be sure to cleanse your lashes every day even if you don’t wear makeup daily. You want to make sure to remove the oils or any allergen dander that may have formed around your lashes throughout the day. That way your extensions will last longer and you won’t have any irritation due to dirty or allergen filled lashes. Before getting extensions you clean your lashes without thinking about it but after extensions you have to consciously think about it is the only difference. Q: Does a client get to choose the length of extensions they get? A: The lash stylist will choose the length of extensions that best fits the client’s natural lashes. We only use Xtreme Lashes application procedures and with those guidelines we only extend your lashes by 2-3 millimeters to make sure your natural lashes are not and will not be damaged. With proper length and width chosen for your extensions, you should be able to wear your extensions indefinitely without any harm to your natural lashes. I have even had clients lashes grow longer after wearing extensions because they aren’t rubbing them or curling them any longer, and with safe application it helped their lashes reach their full potential! 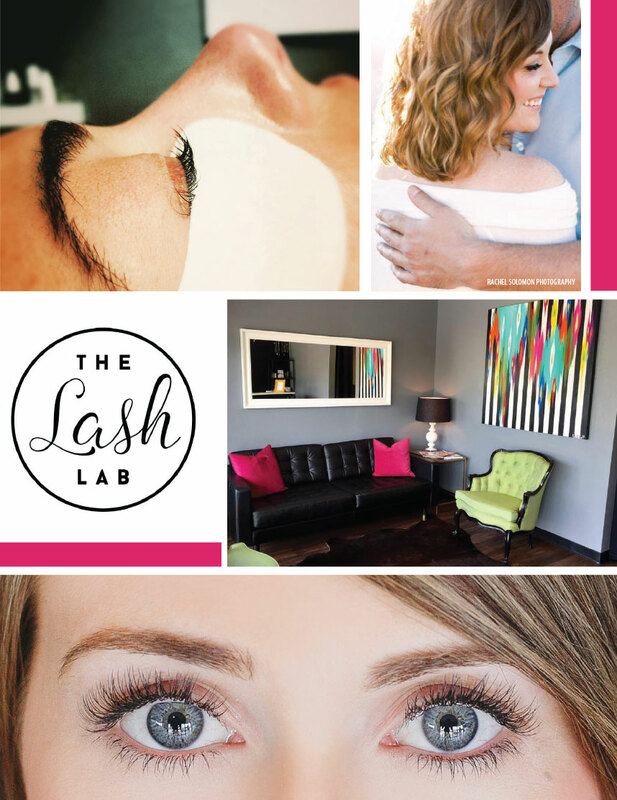 Q: What other services does The Lash Lab offer? A: We offer lash and brow tinting, lash perming, facial waxing and airbrush tanning. Our lash/brow tint is vegetable based and safe to use around the eye area. A tint will last between 4-6 weeks. The lash perm is also specially formulated to be used around your eye area and will also last between 4-6 weeks. If you wanted both a last tint and perm then we do suggest getting the perm 24 hours before your lash tint for best results. Our airbrush tan is all natural with organic DHA, and it is vegan certified. An airbrush tan is recommended for after any other service we provide. 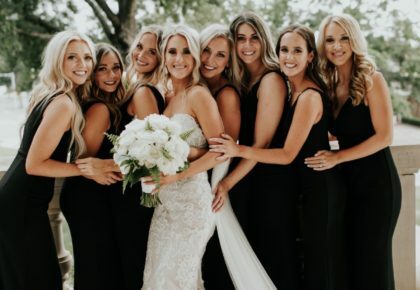 And if a bride is getting a manicure or pedicure we also recommend to get an airbrush tan after that as well, the tan could be scrubbed off during your nail salon service, and we don’t want that at your wedding! Q: What services do most brides-to-be receive? 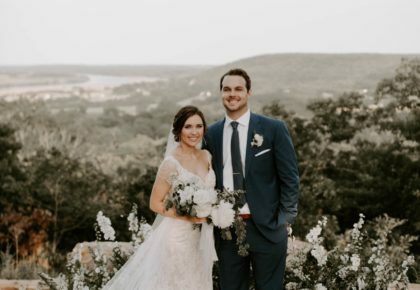 A: Most of our brides get the Ellipse HD Full Set,the week of the wedding they get a lash tint one day before their lash fill (which is 2-3 days prior to the wedding) and they then get an airbrush tan 1-2 days before the wedding. 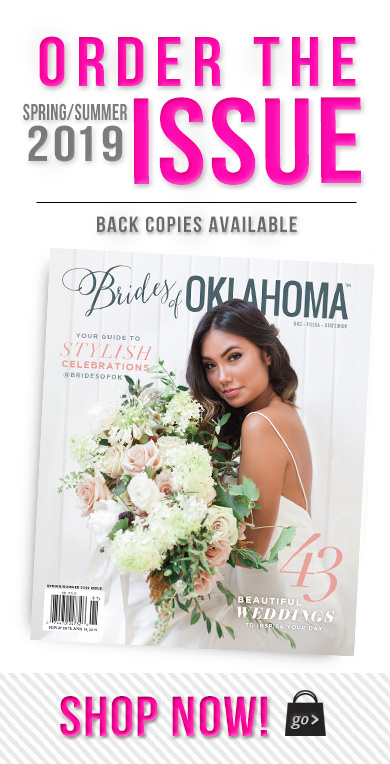 We do suggest getting a test tan two weeks before the wedding to make sure the color on your wedding day is dark enough for want you are wanting to achieve. A lot of brides use their bachelorette party for a “reason” to get the test tan.